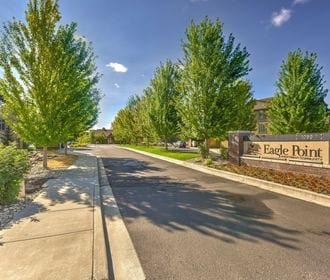 Catering to the students of Eastern Washington University, those stationed at nearby Fairchild AFB and everyone else who calls the tightknit community of Cheney, WA home, Eagle Point offers new apartments with comfortable interiors and access to an unrivaled selection of resort-style amenities. 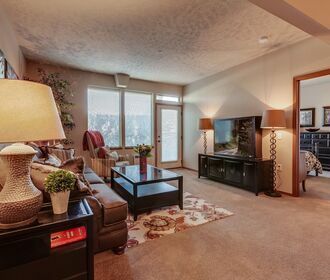 Located at the bend of Betz Road and Washington Street, the community is within walking distance of EWU and just minutes from Interstate 90 for any trips to Spokane. Whether you plan to find roommates or fly solo, Eagle Point has floor plans ranging from efficient studios to sprawling four bedroom models. Each layout places an emphasis on open space and fine finishes balanced by conveniences such as in-home laundry appliances. Just steps from your front door, Eagle Point delivers exclusive access to in-demand amenities as well. The study space exudes an Ivy League feel with rich woods and a fireplace. 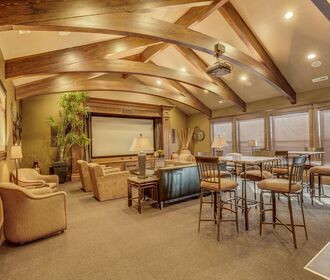 When you’re ready for a break, you can do everything from working out in the gym to meeting with friends at the pool, basketball court or on-site theater room. Speak with a friendly member of the leasing team today to learn more about life at Eagle Point.